The International Organisation for Migration (IOM) has announced that since the beginning of the year it has provided food and shelter to over 1,114 unaccompanied minors. Made possible thanks to a program funded by the EU, the minors were previously staying at reception halls or identification centres under protective custody on the Greek islands and have since been moved to 13 hotels across central and northern Greece. “Providing adequate accommodation and living conditions for unaccompanied children living in Greece is one of the priorities of the Greek government. IOM, supported by the European Commission, has set up this project to provide temporary accommodation for those who cannot be immediately accommodated in the shelters,” said Gianluca Rocco, the Chief of Mission for the IOM in Greece. He added that “shelters are being set up in Greece, but adequate numbers are still lacking. With this project there is still a possibility to ensure that proper accommodation is provided to these children”. 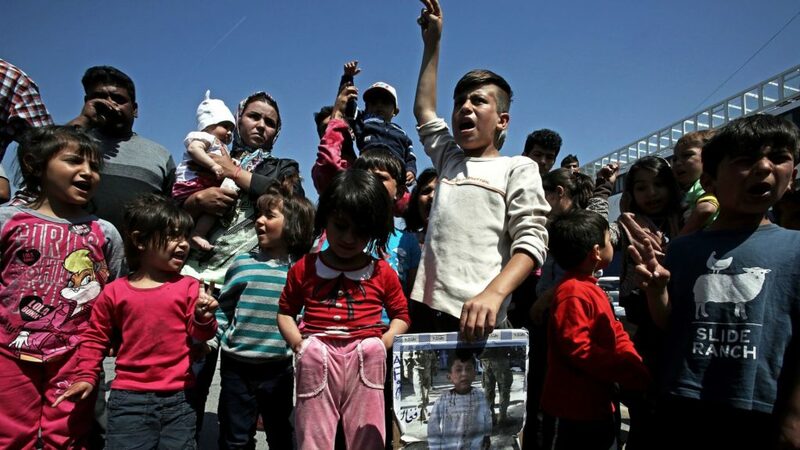 According to figures released by the IOM, up until 31 October the majority of these children came from Afghanistan (453), Pakistan (395), Syria (104), Iraq (36) and Morocco (20), in a total of 27 countries of origin, including Sudan, the Republic of Congo, Somalia and Yemen. Meanwhile, in collaboration with the Greek Ministry of Education, the IOM is also giving minors access to education. “Since September of 2018, 220 unaccompanied minors have become members of Greek schools, 96 of which are in northern Greece and 124 in south Greece,” read the IOM’s report. Additionally, from 1 January up until 31 October, 2018 the Doctors of the World in close collaboration with the IOM provided a total of 13,900 medical services to unaccompanied minors. Within the same time frame, the Doctors of the World performed 587 injections, 1,568 references to other medical facilities, supplied 4,443 prescriptions and 7,302 sessions were covered.